Since the very beginning of our story, we have had a focus on reaching out to the community through heatlh-care. As a matter of fact, in 1997, our very first outreach in the community was a series of lectures on Community Health Education and Community Development. For many years, before we even started construction on our clinic, we operated an infirmary at our mission facilities where we offered first aid and dental care, as well as hosting medical brigades and outreaches. Prevalent illnesses among community members such as respiratory infections, skin disorders, high blood pressure, diabetes and intestinal ailments are an ongoing need for treatment. Environmental and occupational hazards create the necessity for quality first aide attention and wound care while a high rate of teen pregnancy generates the need for maternity services. Click here to see photos of the day we were surprised with the arrival of a baby who wasn’t waiting for his mommie to get to Cartagena. Little Samuel was born in the infirmary at the mission in Bocachica! Click here to see photos from our March 2011 Dental brigade with a team from the Harvard School of Dentistry. Promoting good health and disease prevention by educating individuals and communities to voluntarily change their lifestyles, habits, attitudes and behaviors in order to improve their all-around health and well-being. Helping to improve the quality of life and movement potential of patients with injuries or illnesses that limit their ability to move and perform basic daily functions. 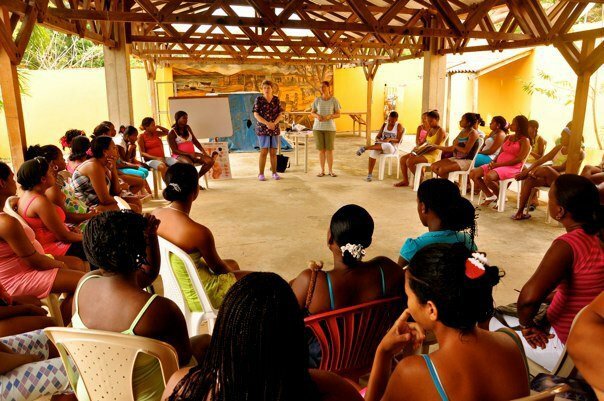 Proyecto Libertad has been hosting medical and dental brigades since our early days. Small groups of medical professionals and specialists come from around the world to serve for one to two weeks at a time, attending to the healthcare needs of the community.